Court Appointed Special Advocate (CASA) provides "best interest" advocacy to children for ages of birth to 19, who have been removed from their homes for abuse or neglect. 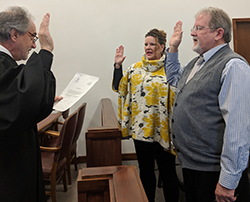 CASA volunteers are citizens appointed by our judge, who are committed to ensuring that every child has the right to a safe and permanent home, to oversee abuse and neglect cases involving children in Cass County. To Learn More, please call (402) 296-9521 or Contact Us. To provide court appointed volunteer advocacy to abused and neglected children in order to provide a safe, permanent and nurturing home for every child it serves. 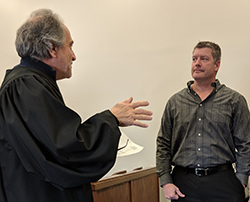 The goal of the program is to represent the best interests of all abused, abandoned, and neglected children as appointed in conjunction with the court system in Cass County. All across Nebraska, judges consider the futures of children who have been abused and neglected by their parents and guardians. CASA volunteers provide critical information in these cases. Cass County CASA is a 501(c)3 organization funded primarily through public and private donations. Since 2007, our trained volunteers have advocated for abused and neglected children in Cass County. In 2016, 16 CASA volunteers advocated for 41 children. In 2015, 16 CASA volunteers advocated for 36 children. In 2014, 15 CASA volunteers advocated for 32 children. In 2013, 11 CASA volunteers advocated for 22 children. Please volunteer or help fund our important work.